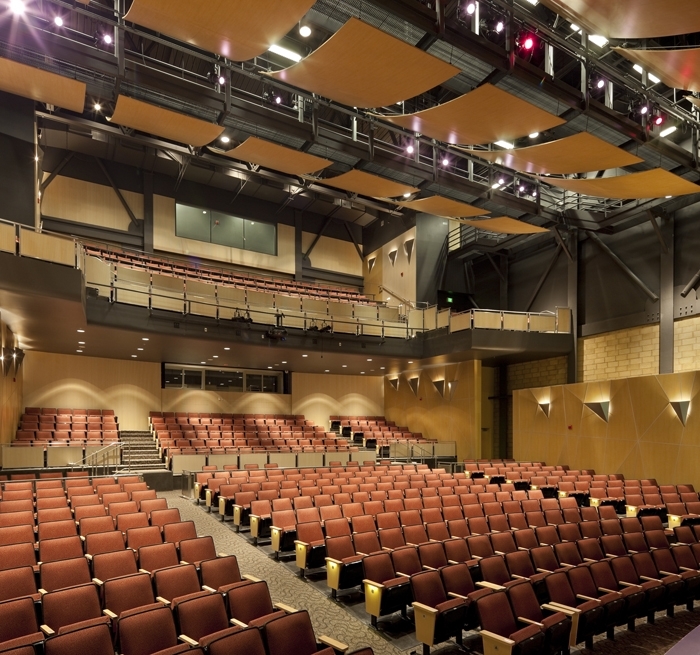 The Center for the Performing Arts at James Logan High School is a multi-disciplinary arts venue that easily adapts to the school’s theatrical, musical and educational needs. 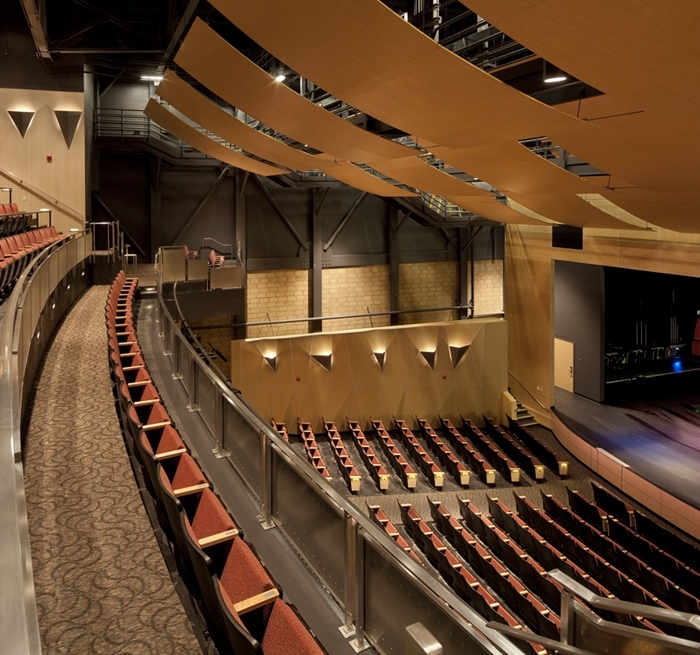 The Center features a cantilevered balcony with open seating beneath, enclosed control and follow spot booths and overhead lighting catwalks. Auerbach Pollock Friedlander provided theatre and audio-video consulting in designing the 600-seat proscenium theatre. The state-of-the-art lighting and audio-video systems include digitally controlled dimmers, Ethernet network control, 32-channel mixing console, wireless microphone system, effects playback and recording capabilities, production video and intercom, motorized projection screen and 6,000-lumen digital projector.